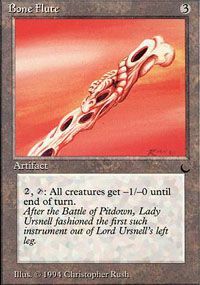 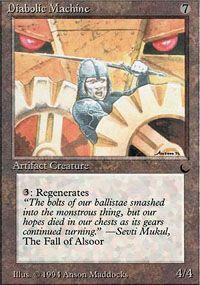 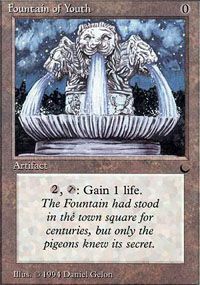 2,Tap: All creatures get -1/-0 until end of turn. 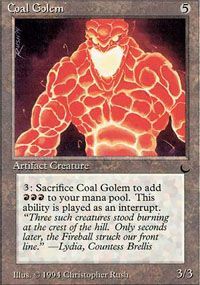 3,Sacrifice Coal Golem: Add RRR to your mana pool. 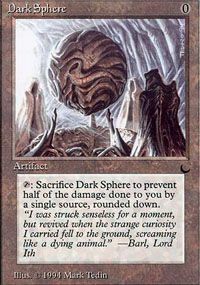 Tap,Sacrifice Dark Sphere: The next time a source of your choice would deal damage to you this turn, it deals half that damage, rounded up, instead. 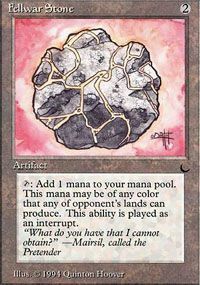 Tap: Add to your mana pool one mana of any color and type that a land an opponent controls could produce. 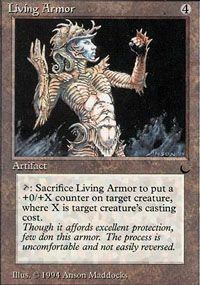 Tap,Sacrifice Living Armor: Put a +0/+X counter on target creature, where X is that creature's converted mana cost. 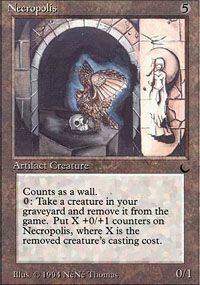 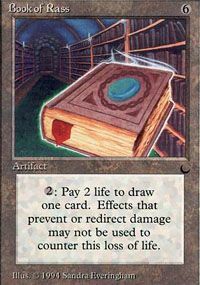 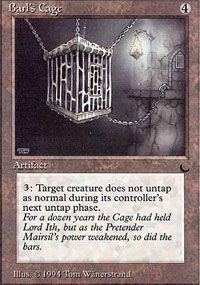 Remove a creature card in your graveyard from the game: Put 0/+X counter on Necropolis, where X is the removed creature's converted mana cost.